Flexible printed circuits (FPC) allow for design versatility not possible with traditional rigid circuit boards. Building circuits on flexible materials allows for new applications that push the limits, including versatile multilayer capabilities and solutions for the astronautic, telecommunication, and medical industries, among others. This increased design versatility needs a manufacturing technique to match. 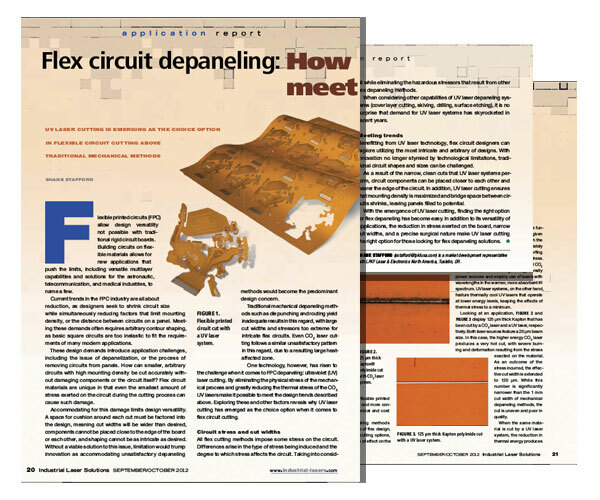 Read this compelling article on the Depaneling of Flexible Circuits to discover how UV lasers are bringing flexibility and versatility to FPC manufacturing.